We have all had the experience of listening to a piece of music that really stirs our hearts and minds. The music literally brings tears to our eyes and joy to our hearts. There is a reason for this that goes back through time to an earlier musical scale now referred to as the “Solfeggio Frequencies“. This is a six note scale that bears some resemblance to our modern seven note musical scale. When related to music, ‘Solfeggio’ is referred to as the “ability to sight read music and sing the notes accurately (pitch wise) without the use of a musical instrument’. The solfeggio frequencies are reputed to be the original frequencies used by the Gregorian Monks when they chanted. The chant, based on the six notes, penetrates deep into the conscious and subconscious mind, drawing forth emotional reactions which we are sometimes unable to completely control. Dr. Candice Pert, PhD, reinforces this observation stating, “Energy and vibration go all the way to the molecular level. We have 70 different receptors on the molecules and when vibration and frequency reaches that far they begin to vibrate”. These original frequencies appear to have been ‘lost’ over the centuries with the introduction of various new tuning methods. The solfeggio scale was ‘rediscovered’ by Dr Joseph Barber who claimed to have been guided intuitively to find a pattern of six repeating codes in the Book of Numbers. He found in Chapter 7, verses 12 through 83, number references that, when deciphered using a numerological technique, could be reduced to a single digit. This revealed a series of six electromagnetic sound frequencies which he determined to be the six missing tones of the ancient Solfeggio scale. So, matter does not exist and DNA functions like a laser. 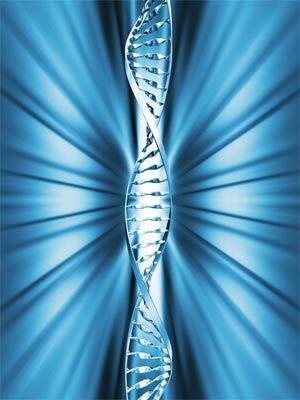 Modern physics has also postulated that DNA may function as a type of holographic projector which translates low vibrational state energy into ‘physical patterns’. These physical forms behave in a similar way to acoustic wave forms and as such can be used as a means for decoding genetic information through sound. David Hulse is credited with recognizing sound resonance as a basic principle of good health. 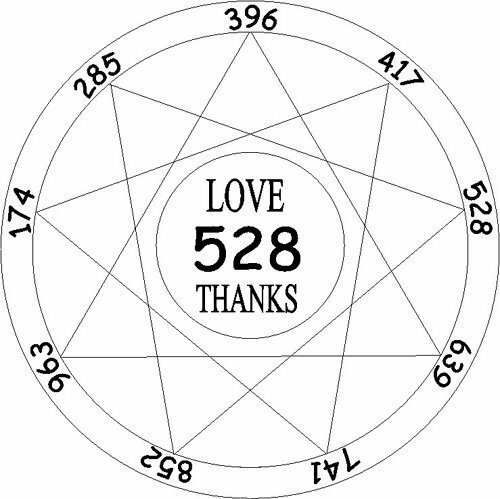 He studied how certain sounds and frequencies could activate DNA and discovered that biochemists use the 528Hz frequency of the solfeggio scale to repair DNA. would drive you a little batty. I will leave the original video in place and for the purists among you, enjoy the pure tone. I think you may find that instead of three groups of corresponding number groups there are actually six for each group totalling 18 for the configuration. I’m pretty sure these are the missing numbers ? Thank you for updating my readers and I with this additional set of numbers and frequencies. Thanks for uploading this fascinating infromation. Just in case you haven’t come across him already I wanted to refer you to John Kanzius https://en.wikipedia.org/wiki/John_Kanzius . Its hard to track down the latest research but i’ve heard testing was being carried on large animals by a charity that raised money in his name. I often wonder why there is not more journalistic investigation into this interesting/logical potential treatment. Thank you! 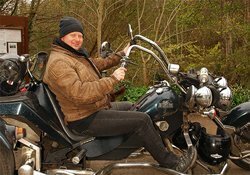 I was guided to this website, my guides are aiding me, I plan to buy your book to heal from past relationships, I enjoyed your story, I have a painful childhood, which I’m thankful, because I am who I am because of it, I appreciate your work! Thank you for stopping by Renee. It’s nice to see you here. I look forward to sending you a copy of my book. Hello, This is a Japanese company, SYMPHONIC GARDEN LLC. I would like to tell you that we launched our new smartphone application on the App Store. It’s called “Solfeggio Harmonics”. We made a simple Solfeggio frequency generator. This can generate more than one frequency at the same time by the same high quality sound as a CD (16bit/44.1kHz). Please choose several scales or hear for a while by chord or by a single sound. So that your spirit and a good change for a body may come! We, who are the developers of this application don’t fully understand the effect these scales exert on spirit and a body well. To be honest, we’re uncertain of the effect of this mysterious scale, but we want many persons to try this.You try this application with curiosity, too, please. And when a positive change comes in your spirit and body, please inform us. I really enjoyed this and the tones. I have the Trinfinity 8 which has a lot of them and the Scio which also does. My father was a soldier in WWII and the name of his division was The Timberwolf. Thank you for visiting my site and sharing your thoughts with my readers and I.
I have just recently come across this information about the 528Hz frequency, and instantly connected to it, as it reminds me of my childhood. I would hear “ringing” in my ears as a child/teenager, and it resembles this same frequency. I’m very intrigued, indeed! Have others experienced the same? Thank you for this additional information and insight on the Solfeggio frequencies. Much love & light! Thank you for visiting my website and thinking enough to comment and ask a question. I am one who heard ringing in my ears as a child and teenager. I thought back then that there was something wrong with me. 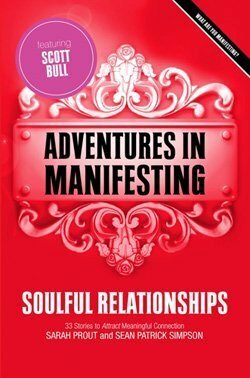 However, I have come to believe that it was my guides getting into my soul and opening up my mind to the infinite possibilities that exist. Love and light to you my friend. Thanks – a neat and concise offering that is useful and practical. Appreciated. Thank you Timberwolf for your time and dedication in bringing this information forward and into the Light. I’ve had unanswered questions for the past two years as to how to get started. You’ve helped me in a practical way to align my intention with Divine Purpose through action. Again, Thank you Sir. You’re a gent and a scholar. I am BLESSED.by your Spiritual knowledge and your LOVE and LIGHT! I have a tumor in bladder and recently a stroke. Am hoping these frequencies will aid healing. along with the other healing modes I’m using, based on nutrition and proper foods. I have Holy Harmony. will have to get back to using it. 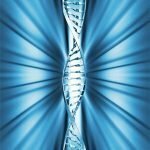 Is there any real evidence that solfeggio frequencies do have a positive effect on DNA and the body? 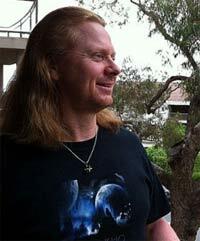 I am a musician and musicologist who has recently been researching into the Solfeggio Tones and am glad for all of the interest that others have in this field. There is something I wanted to point out to those who are less familiar with how harmony works. The 6 (+3) tones that make up the series are tones and not a scale. Be wary of mixing them together at will as you might not get a result that is agreeable with your body. What one should bare in mind is that you cannot compose using these tones in the same way that classical or modern popular music is composed, this is because these tones do not harmonise with one another in the way our current evenly tempered system does. For example the 174Hz tone (closest match to the even tempered ‘F’ at 174.6Hz) when doubled creates another ‘F’ at 348/349Hz – the closest Solfeggio tone is 396Hz, which is just sharp of ‘G’. Whilst the 2 notes might harmonise I can imagine that trying to harmonise 3 of the Solfeggio tones would be hard. Therefore I think that each tone should be treated as the basis for a scale in its own right – a tonal centre, thus a series of 6 or 9 compositions. This would make sense as each tone has its own relationship to our body and individual effects – mixing them together could weaken them or cause unwanted effects. Although Gregorian chant might have used all the tones within one chant/performance they would have only been used in succession and not in harmony. ti is almost as if each tone is a different key and thus the chant goes through key changes. We call them key changes as in modern times we have instrument that will play many keys, whereas in olden times the instruments where restricted as to what keys they could play. I could go on with this but if you are interested then some research into the development of temperament will help you understand why the Solfeggio tones are in their own world of harmony almost.